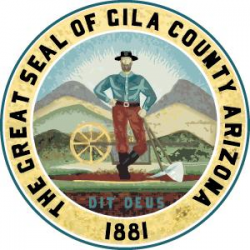 PURPOSE OF THE JOB The purpose of this position is to plan, coordinate and manage Gila County Housing Rehabilitation Projects. This position manages activities and staff that provide support to residents eligible for Low-income assistance. Coordinates services and the work of general contractor/providers for a variety of housing construction requirements. Provides recommendations on scheduling work hours of employees. • Coordinates energy conservation testing and assigns correct funding to accomplish a safe and energy efficient home for the client. All of which is completed in compliance with Federal, State and County guidelines and regulations, as well as funding and grant requirements. • Performs initial inspections to identify housing problems and determine necessary repair/improvement requirements and assistance to be provided and retests projects to determine energy performance requirements and health and safety issues. This position provides research support on departmental budget. Provides project research and clerical support on technology projects. This position trains colleagues and explains County procedures or processes. This position creates or edits documents, internal memos, emails, press releases and reports. Five (5) years housing rehabilitation or construction trades experience in HVAC, electrical and plumbing; or equivalent combination of education, training and experience. PROFESSIONAL CREDENTIALS REQUIRED/PREFERRED Building Performance Institute, Inc. Building Analyst Certification, Building Performance Institute, Inc. Envelope Professional Certification, Neighbor Works America Rehabilitation Management Certification, EPA Lead Worker and Firm Certification, OSHA 10 and 30. Building and construction, finance, Federal, State, Local laws, regulations, statutes, public safety regulations, heating, ventilation, air conditioning (HVAC). Problem solving, developing alternative solutions, analyzing operations, quality control analysis, conducting tests, using scientific rules and methods, operating special gadgets, multi-tasking. Recognize problems, make sense of multiple data, make sense of multiple information, multi-task, consider options, risks, and benefits. • Regularly stands to present. • Regularly sits to complete report and operate computers; occasionally sits to operate special equipment. • Regularly lifts up to 75 lbs. of work related materials, equipment or tools. • Requires dexterity for keyboard operation, for special gadgets and for special machines. • Incumbents in this position may be required to routinely bend, stoop, crawl, kneel and twist. Incumbents in this position spend time in a standard office environment, in the field when performing housing inspections and in automobile. Incumbents in this position may be exposed to variable weather conditions, mold, dust, rodent/animal feces, and insulation; must be able to crawl through attics and into crawl spaces when conducting housing inspections; standing, walking, bending, crouching, and lifting up to 75 pounds is involved; required to drive a motor vehicle/truck for inspections and visits to residences. Potential errors can cause inconveniences to other employees, and/or delays in related work areas. Delays in services are possible.